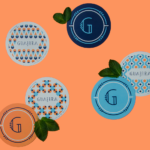 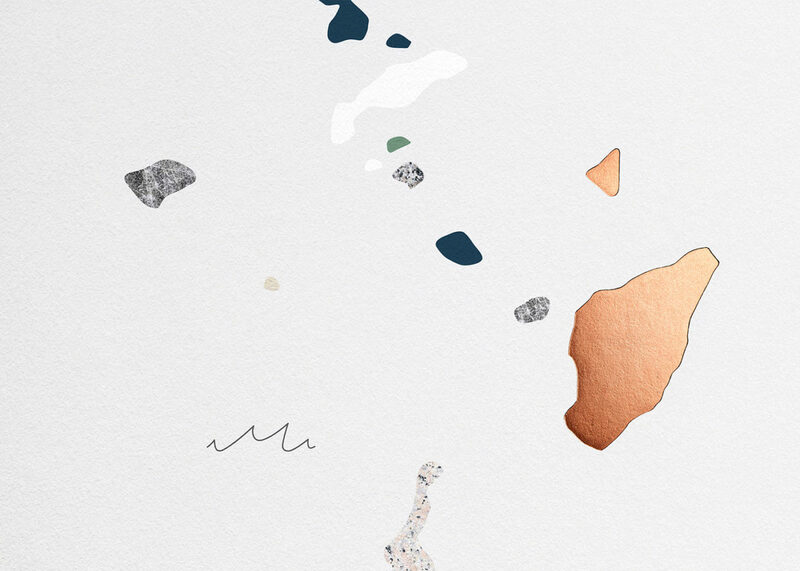 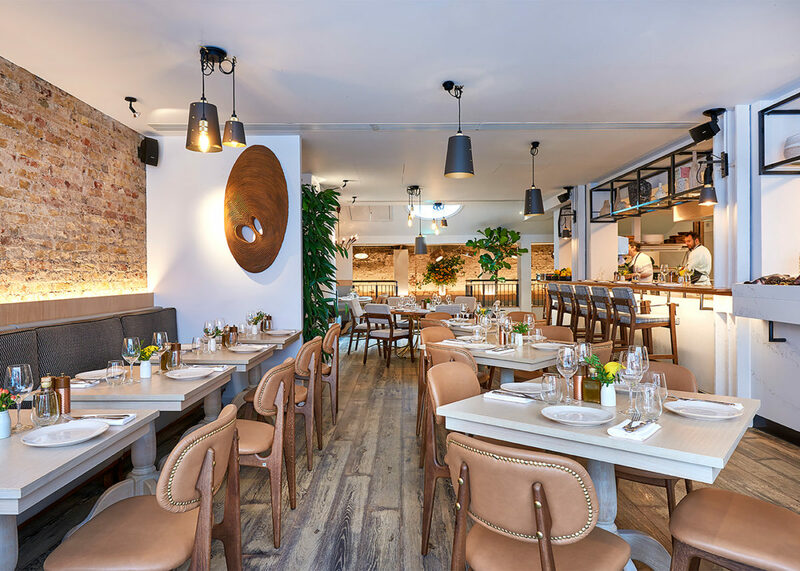 Meraki, a contemporary Greek restaurant, takes inspiration from the six key islands that make up Greece, using a medley of finishes and textures inspired by the islands and used throughout the restaurant’s interior. 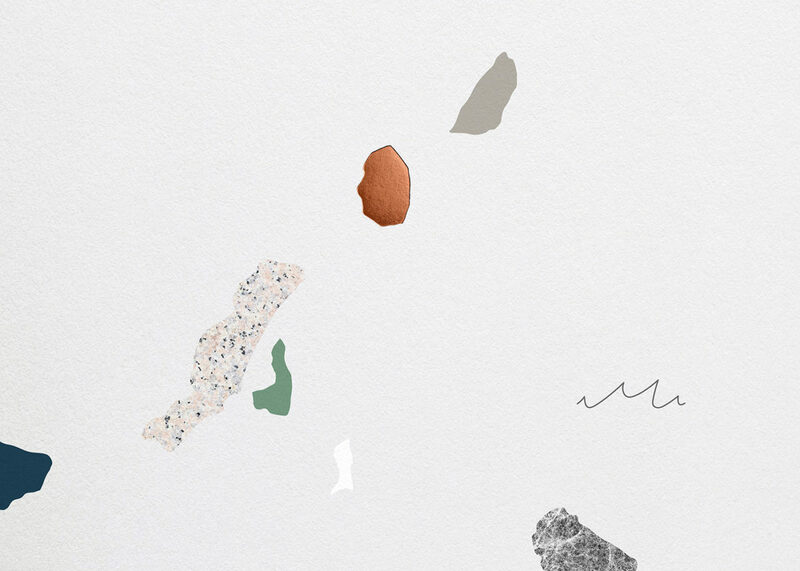 The geographic shapes are hand painted, and feel like shattered pieces of tile, especially once the stone textures are applied to them. 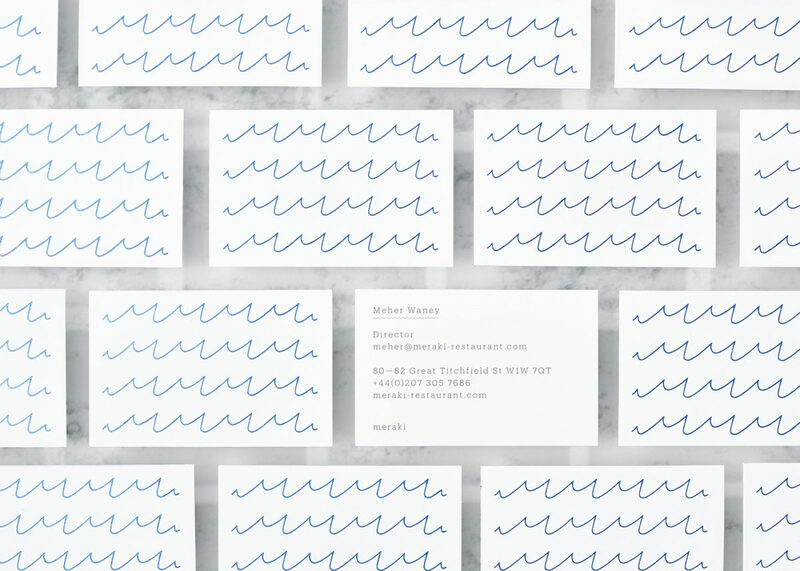 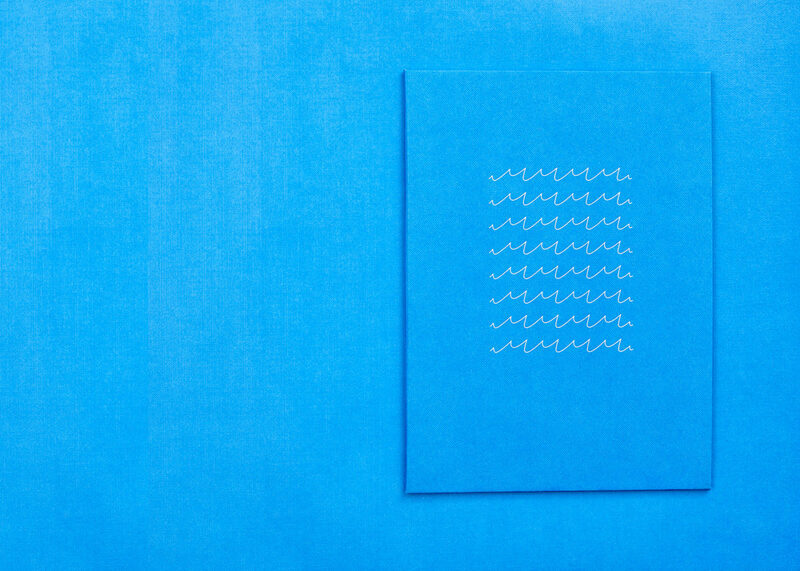 Because Meraki is a predominantly seafood restaurant, representing the sea somehow was important, and so the identity’s monogram ‘M’ also doubled as a wave, easily translating to a pattern. 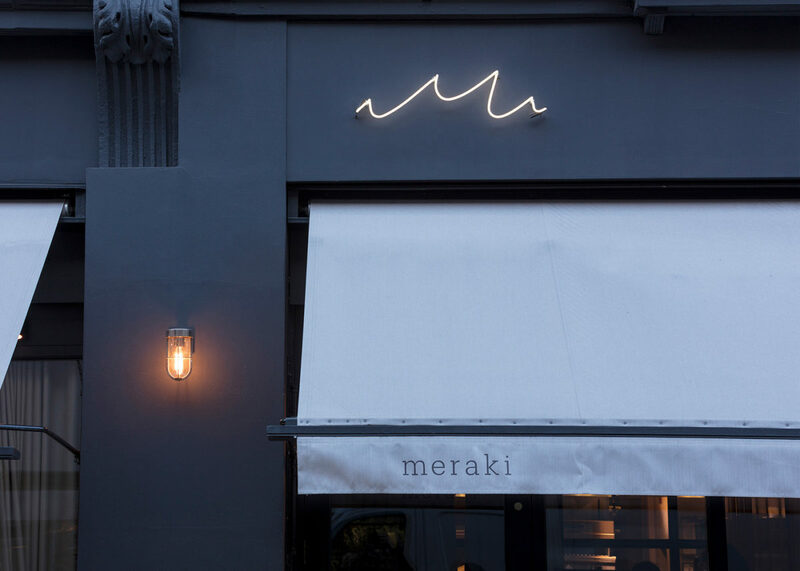 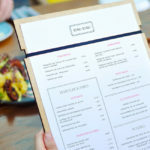 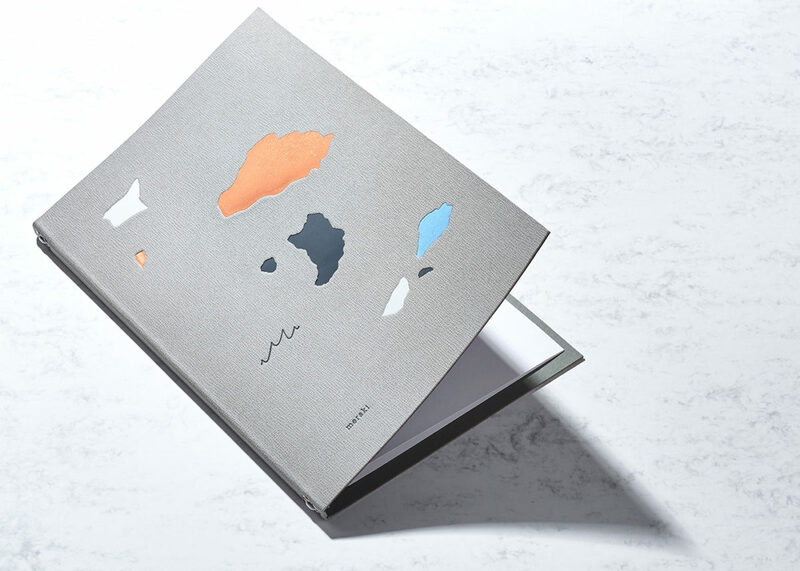 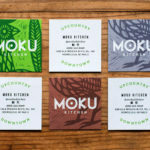 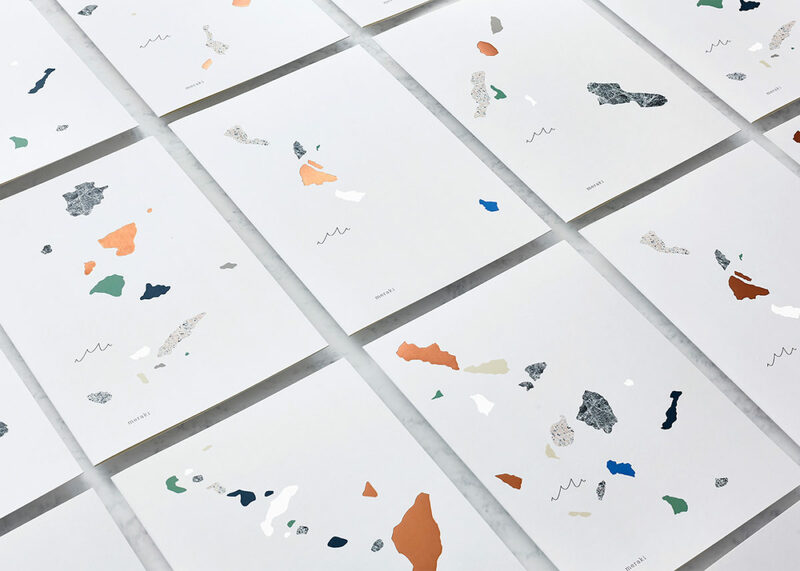 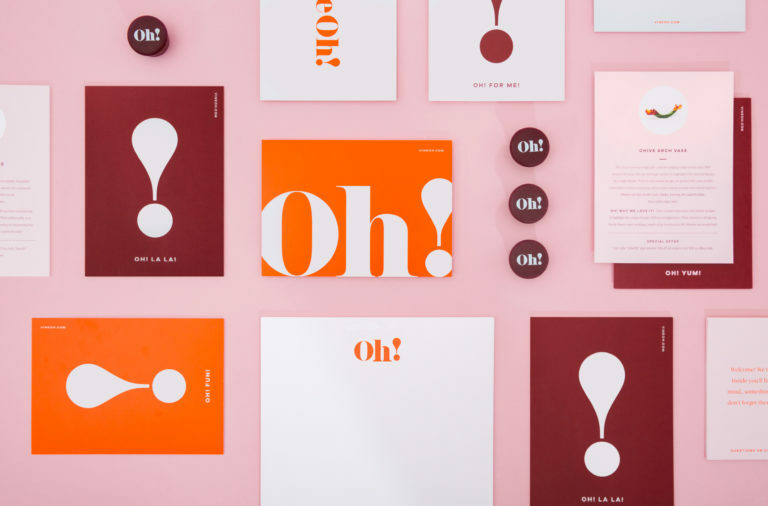 Meraki Branding, Menu Design & Art Direction by Dutchscot London.